If you're looking for a special gift or a treat for yourself, Beaverbrooks in Romford is the perfect place for you to visit. We stock big name fashion brands such as Gucci, Michael Kors and Thomas Sabo, as well as timeless brands such as Raymond Weil and Rotary. 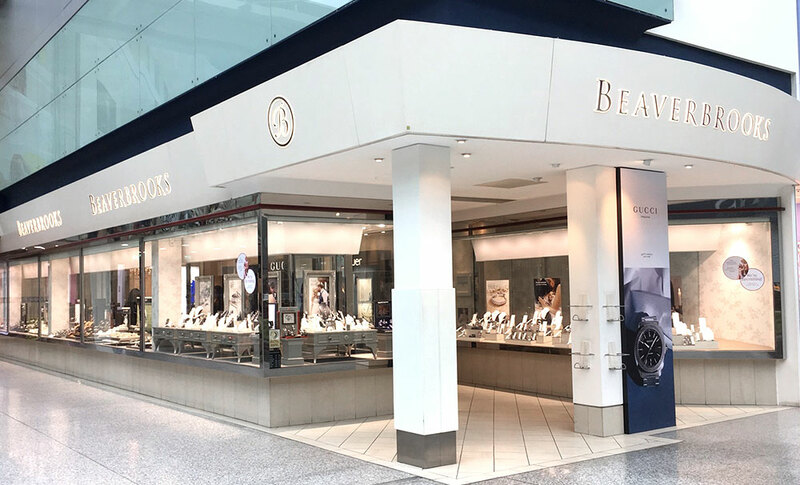 We are extremely proud of our Beaverbrooks jewellery and diamonds, and invite you to come along and browse in the comfort of our lovely store. Our store is located in the Liberty Shopping Centre in the historic market town of Romford. You will find us in the middle of the centre next to the information desk and Claire's accessories, opposite BHS and Boots. Both the Brewery and Liberty car parks are nearby and provide wheelchair and pram access, and there is also Romford Train Station within walking distance as well as frequent bus services covering many of the surrounding areas.